It always worries me when I received e-mails with words “I was talking to your dad today…” , however on this occasion I will say dad I’m impressed! So my dad in his retired status spends much of his time frequenting various coffee places drinking coffee and reading newspapers and bumping into people he knows. One day he bumped into the lovely ladies from Boutipi who tell him they’re setting up a tipi company which is about to launch and he mentions I have a wedding business and how much I love tipis as we’re having them for our wedding (this I am amazed he remembered as my dad doesn’t always share my enthusiasm for weddings and events and due to my chatty nature does also have a tendency to day dream right through everything I tell him!). This is how we got to be invited to the amazing Boutipi launch event. The launch event was held in the grounds of Cottingham Parks Golf Club on Saturday 12th October. We had an amazing evening the tipis looked stunning and the Boutipi family team had pulled out all the stops to make the event perfect despite weather conditions that weekend being typically British. A beautiful lit walkway led us to the tipis which were sparkling with fairy lights and roaring log fires (perfect for the chilly evening) and a friendly champagne welcome. We were treated to a lovely meal and entertained by X Factor contestant Ryan Mathie. 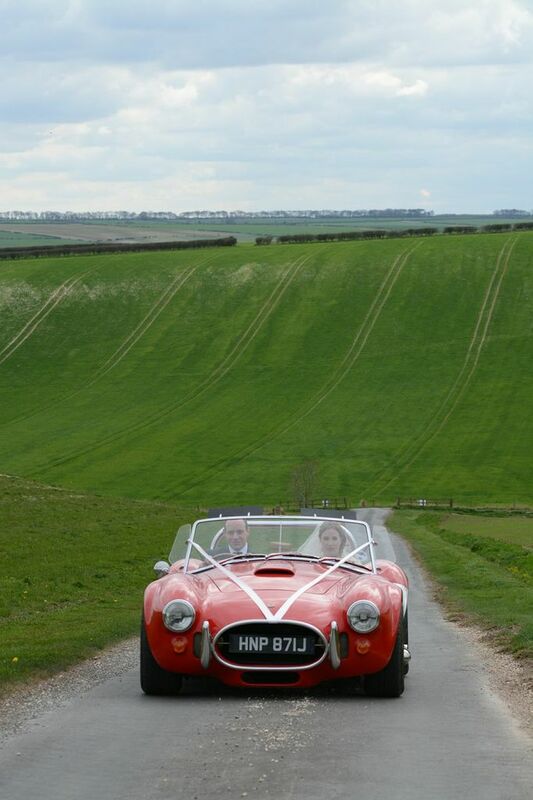 The event was also designed to help raise funds for the British Heart Foundation of which through donations and a charity auction they raised over £2000. The one thing n particular that stood out on the evening aside from the amazing venue was what a close and lovely family they all are and how very easy they would be to work with as both a customer or supplier. Since the launch event Boutipi have been seen exhibiting at various wedding fairs and we are delighted to be having a stand at their very own first wedding fair at Beverley Race Course on February 16th 2014 showcasing some of our own new products for 2014 inside the amazing tipis. I’ve every confidence the event will be a success – as many regular readers of my blog will know from both the perspective of being a bride to be and a wedding business owner I am not a huge fan of the ordinary wedding fairs that so many events have become but I have every confidence this will be an amazing wedding exhibition. I hope everyone’s Christmas shopping is going well. I just have a couple of gifts left to pick up now although I know what they are so i’m feeling very organised for a change! After all the buying it all needs wrapping though. Last year I was still wrapping on Christmas Eve and considering I normally love wrapping and making pretty bows etc… the last presents were literally just plain paper and tape and bundled into gift bags to save on tag writing! This year I promised to be more organised so using some of our fabulous twines, tags and paper hopefully the below examples will provide some inspiration and a little bit more fun for what can otherwise be a laborious task. I love it. So simple and effective I’ve used our red and white twine simply tied round brown paper and also created a twine pom pom via this blog post by Jane Means http://janemeansblog.com/making-a-pom-pom-with-bakers-twine/ something a bit different for those recipients you know will appreciate the extra effort! 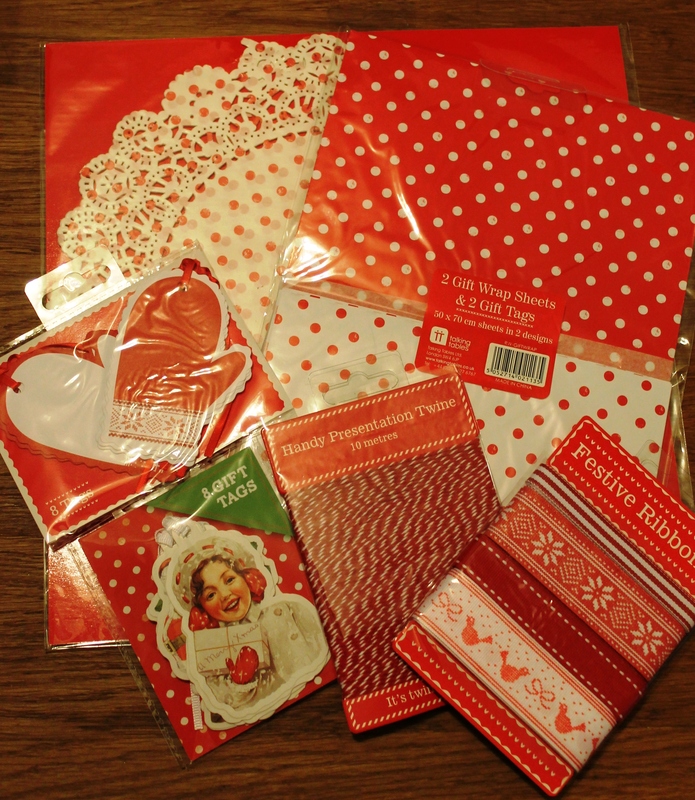 There are so many fantastic craft uses for paper doilies I’ve used our red & white spotty doilies to jazz up brown craft paper bags and easy way to combine small gifts or to wrap more difficult shapes the cheats way! I simply cut one of the doilies in half and then shaped it around the edge of the bag and affixed it to the inside with a little clear sticky tape. I punched a hole through the bag so it can be tied closed with a little of the red & white twine to ensure no peeking before Christmas day! All you have to do is to leave a comment below on this post before midnight this Wednesday 11th December (there may be a slight delay in publishing comments as we need to approve them to prevent spam but all comments received for us to approve before Midnight 11th December will be included). This competition is only open to UK residents and only one entry per person. We’re loving the excitement over another Royal event in the Christening of Prince George today. It’s lovely that they have opted for a smaller intimate event for Prince George and nice that Kate and William continue to be more modern and move away slightly from former Royal traditions. With the decline in Christenings over the years from one child in three Christened in the 1980s to just one child in ten by 2011 they are now the exception as opposed to the norm. This trend mirrors the decline in church attendees and parents who are married in church and the increase in other options for celebrating a childs birth such as pre birth baby showers and after birth naming ceremonies. Just from our own group of friends the number who have had their children Christened would reflect the 1 in 10 figure although non of the other children have had a naming ceremony as an alternative so we are yet to experience this as an alternative! I feel very lucky to be God Mother for two of these children, our lovley niece Evie and my best friend (and bridesmaid!) Samantha’s little girl Charlotte. I was Christening as a child in the 1980s however I wouldn’t consider myself to be particually religious opting for a non religious wedding ceremony. I don’t think this detracts from an ablity to provide support and moral guidence for a God child inline with their parents views on how they should be brought up and have always consuidered it a honour to be asked to fulfill this position. The Christenings we have been to have chosen to remain with the traditional 3 godparents however the average number of God parents has increased over the years with Prince George having 6. Perhaps we will see an increase in Christenings following Prince George’s Christening – time will tell. Should you be planning a Christening, baby shower or naming day below are some links to Pinterest Boards we’ve created to inspire your planning. 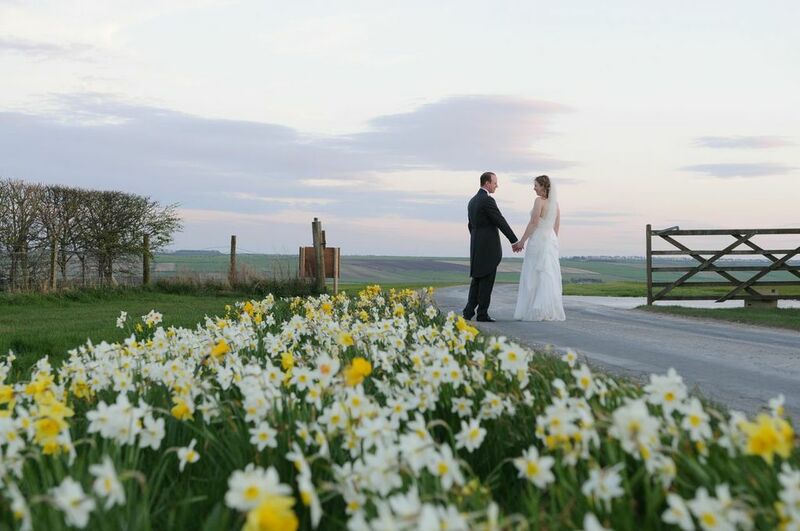 We launched Muddy Souls events as an innovative wedding and party events company that brings together the benefits of the Wold Top Brewery, stunning views over the Yorkshire Wolds and a TV featured garden to create a unique rural wedding and party space that can be whatever the bride and groom want it to be. Over the years we have held many successful events at the brewery, from charity fundraisers to the sell out Moonbeams festivals. 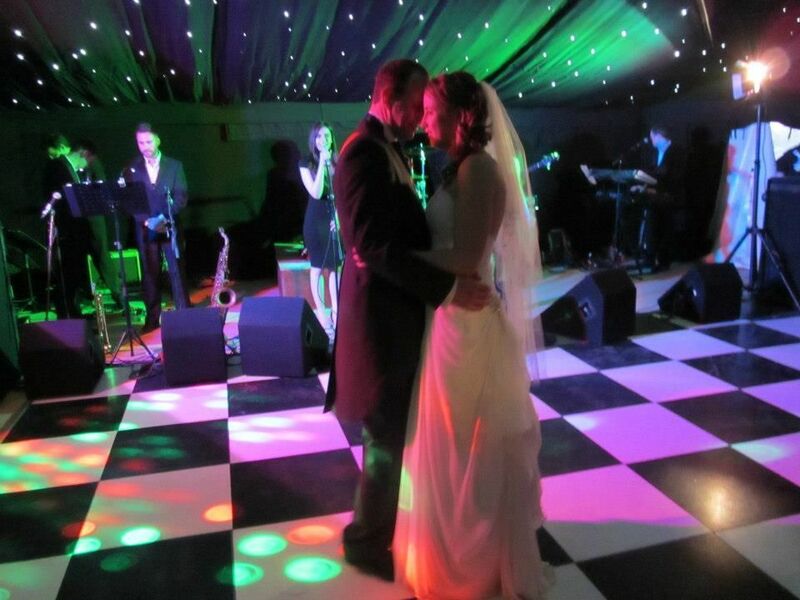 Last year we hosted our first wedding and we had such amazing feedback about the venue, the facilities and the location that we decided to launch a new business so that more people could experience the unique Wold Top experience. Muddy Souls Events are designed to be different. 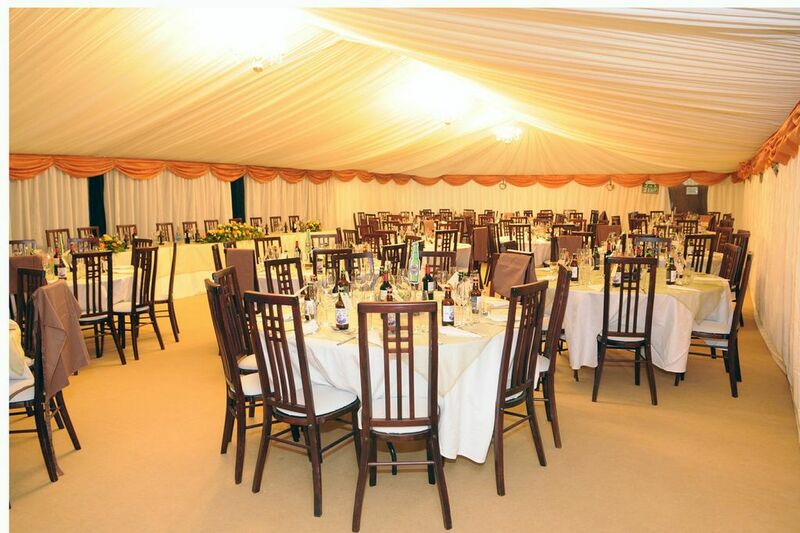 There are no set packages, just an amazingly flexible venue that can be used however people want it to be used. 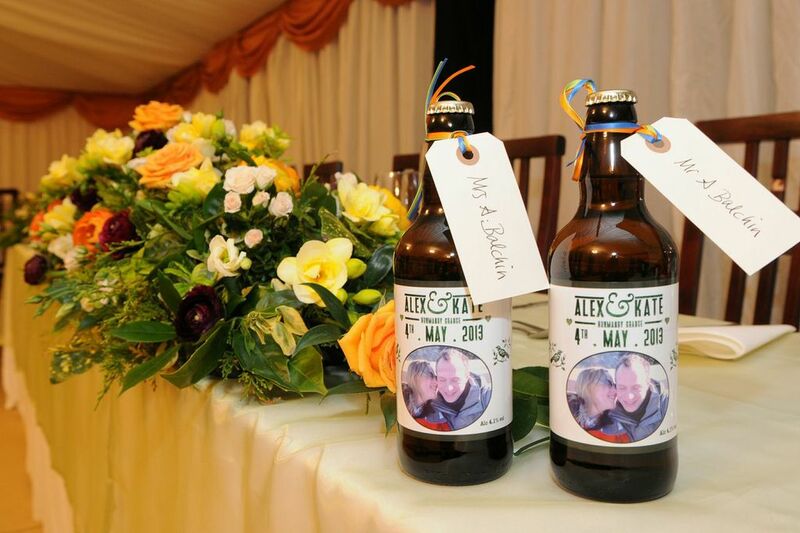 There are designated areas for caterers, camping and showers for guests, exclusive use of the venue for 48 hours and we can also provide bespoke pump clips and bottle labels for a Wedding Ale to help you celebrate your special day. 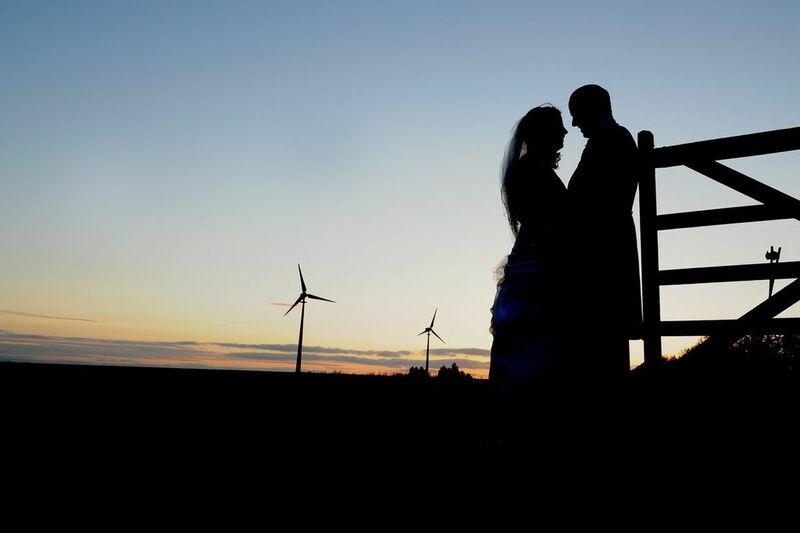 We are happy to recommend caterers, florists, photographers etc but are equally happy to work with the bride and groom’s preferred suppliers – it really is that flexible. As it is away from our brewery and farm buildings, you would need a generator to power the catering equipment and the heating. 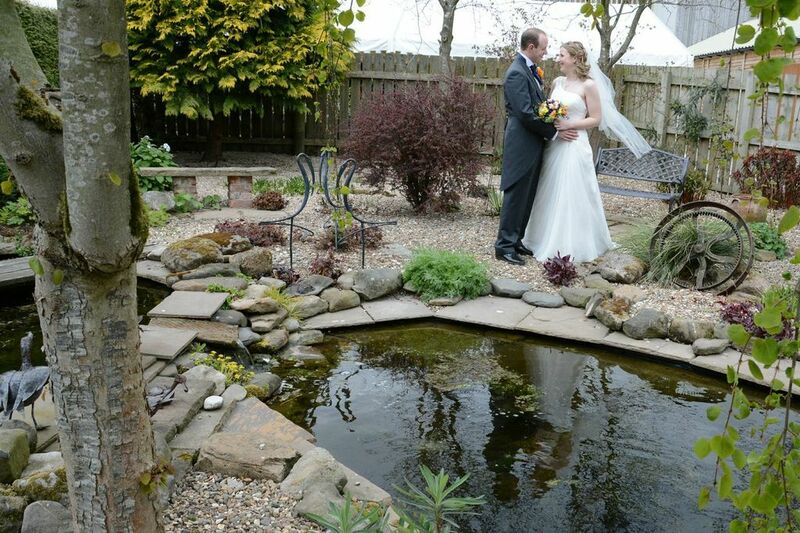 A truly unique venue and personal service, making sure you have the wedding of your dreams! Please make an appointment to come and visit. Muddy Souls Events at Wold Top Brewery has to be seen to be believed! For more information about Muddy Souls Events, please call Anne Duerden on 01723 892222 or visit www.muddysoulsevents.co.uk. So it happened a couple of months ago now but at long last after holding out over 9 years Mr and all things nice and I are actually getting married. His excuse for not asking sooner (among not really liking weddings – luckily he works in IT and not with us!) 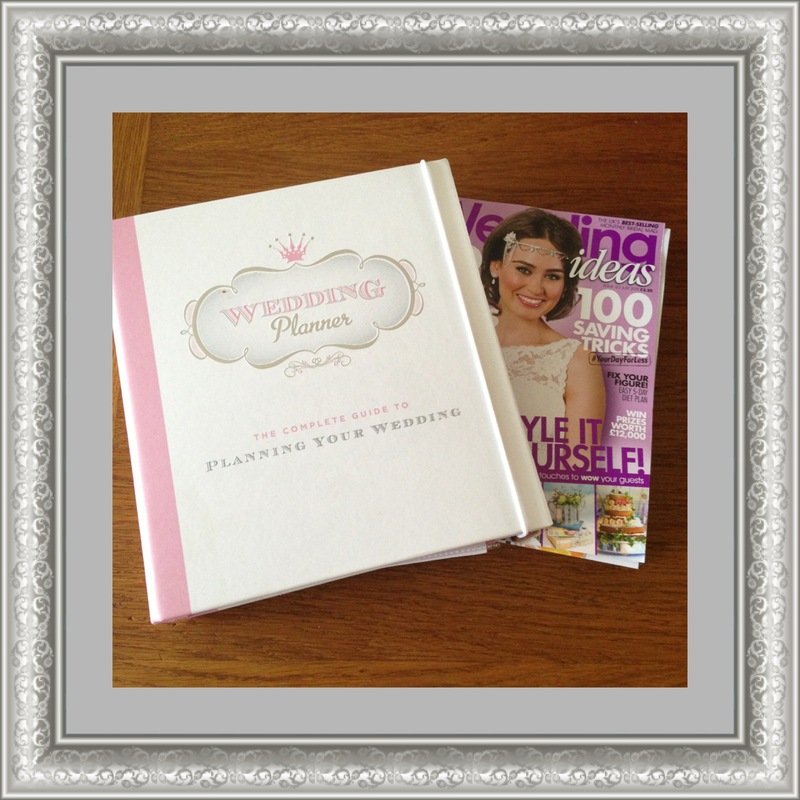 was jokingly that he knows I’ll get carried away and become a bridezilla with my love of all things wedding. As much as it pains me to admit it, he knows me better than I know myself! I chose the ring as I have said many times (during conversation as you do!) that I would prefer a vintage one and with the wide variety of styles I think he decided it was a safer option, although I know I would have loved any he would have chosen he’s surprisingly good at present picking for someone who hates shopping. 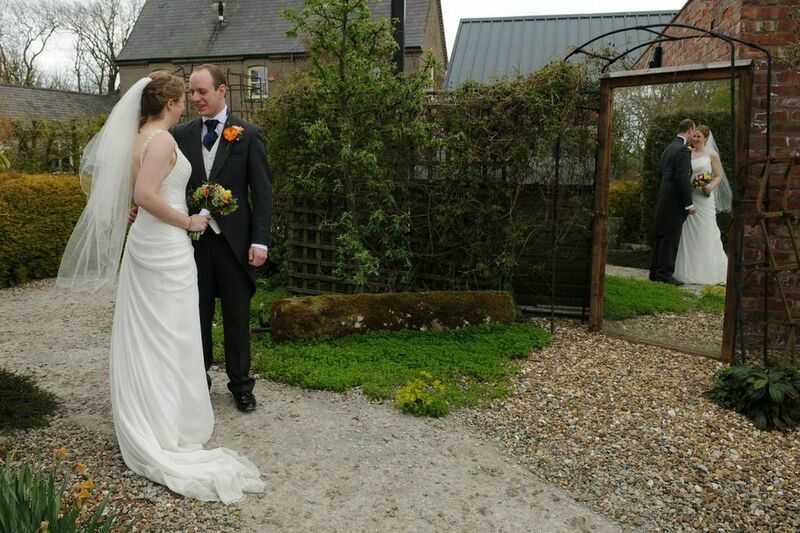 We’ve set the date 13th September 2014 so plenty of time to make DIY details and hide a few transactions among the household bills – I’m surely not the only bride to be doing this?! Reading wedding blogs, magazines and attending wedding fairs for work has given me that advantage of knowing from day one exactly what I want and so a couple of months in we have booked the town hall in Hornsea, registrar, venue (a field and Papkata teepees), catering, band (we both love live music so ended up booking the date round the band!) and the photographer (the lovely Carly Bevan). The suits, dresses, cake and flowers I will sort out in January, although I did accidentally buy my wedding shoes as I loved them so much however I do have a year to return them should they definitely not go with the dress. The transport……well I really hate spending money on a vehicle i’ll be in for all of 15 mins (that is the full return journey) so at the minute my dad can drive me there and we can grab a lift back with someone (my dads car only seats two unless I can convince him to change it before then without further verifying myself as a bridezilla!) is kind of the plan. Theme wise we’re going country festival style and most of all I want to enjoy the planning and day and not be stressing about exact shade of colours to match the flowers with the bridesmaids so we’re going with mixed pastels (my lovely florist friend Abi from Bohemia Floral Design did suggest I narrow it down by chopping up paint charts and picking what colours I like together so they’re stuck in my wedding planner). We stopped exhibiting at wedding fairs a couple of years ago after deciding that most brides attending them were in the early planning stages, many without a venue and so as our products are more last phase they didn’t really benefit us enough for the cost of attending them. I’m not sure if my experience of attending them through work has put me off or how busy we seem to be on weekends, but we’ve managed to book or know who we’re booking supplier wise without attending a single one. I will confess through work I’ve gained two lovely wedding industry friends, Abi (florist) and Alice (who I hope will create a cake for me when I decide on what to have!) but aside from these all our other suppliers have been through word of mouth recommendations, seeing them at friends weddings, blogs and magazines. Some brides love wedding fairs and so I’m not saying they don’t work for everyone but right now seeing it from both the bride and supplier side I’m sure we’ve made the right decision to not exhibit at them anymore. Mr and all things nice’s sister is getting married in a couple of weeks so we’re looking forward to that before planning anymore wedding details but next up is hen do planning, stationery making (the card is on order as a motivator!) 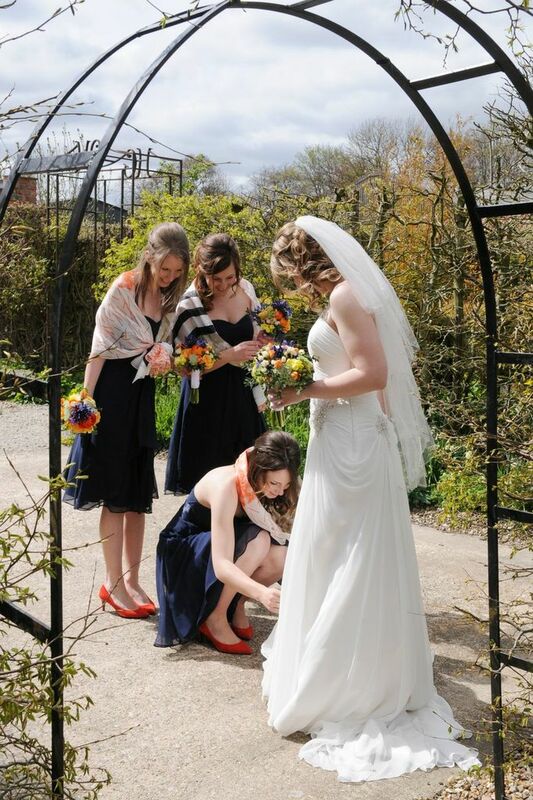 and final choosing and asking the Bridal Party – exciting times! In this weeks weekly theme inspiration blog posts it’s all about Spring! Happy St David’s Day, we’ve made it to March and it was sunny here today so we’re in Spring mode! 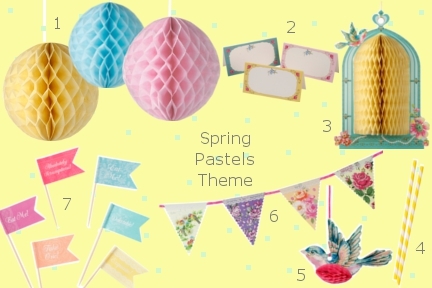 I hope these pretty pastel decorations help inspire your wedding or party, you could use some of them along with our new Easter range too for your Easter Bank holiday parties. Have a lovely weekend – I’ve not checked the forecast but fingers crossed it stays dry and sunny! 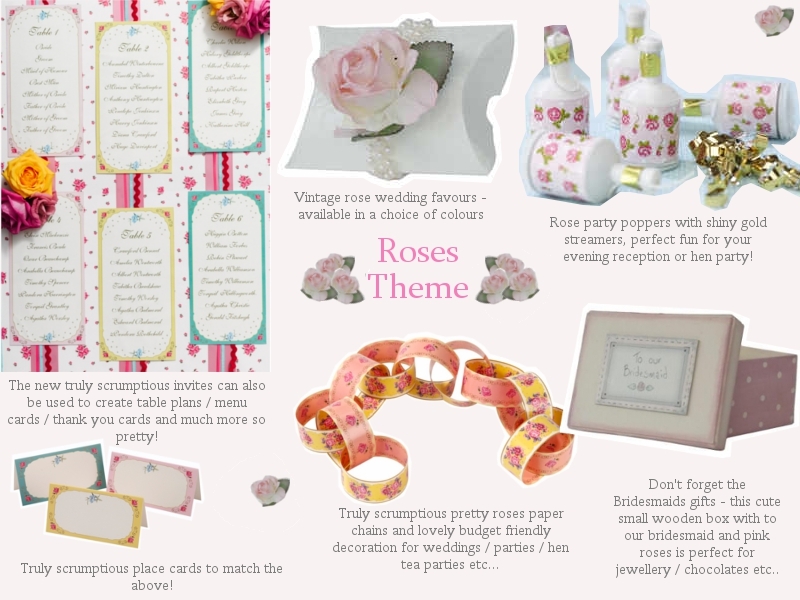 In this weeks weekly blog posts providing inspiration for weddings and parties based on different themes we’re focusing on roses. Choosing something that you hope will last a lifetime and be as loved and treasured as an engagement ring especially considering the cost should be something researched like any life purchases however where to start can be a minefield leaving many people going to a high street chain jewellers for inspiration and to make the purchase. There is nothing wrong particularly with high street chain jewellery retailers however you are much less likely to get the best value for money or the choice and flexibility available in other areas people don’t as often think about such as online, a second-hand ring (this doesn’t necessarily mean the marriage didn’t work out as often antique rings are sold on by families) or by having a ring made. Unfortunately diamonds are not a financial investment as they will not be worth the same as you paid for them as soon as you leave the shop however although they may not be a financial investment they will be a romantic one and one that will hopefully be treasured for a lifetime and passed on to future generations so therefore choosing a ring that she loves and treasures whilst getting the best possible value should be the main objective. This refers to the number of inclusions and surface blemishes. Inclusions can be crystals that are not diamond or tiny cracks or imperfections which cause a slight clouding. The number of these imperfections and the size and location of them affect the diamonds clarity and being magnified by 10 and analysed is how a diamond gets its clarity grading. Many of these won’t be viable to the human eye however the greater they are affects the diamonds ability to sparkle and should any cracks be near to the surface this can cause the diamond to fracture more easily. Very, Very Slightly Included (VVS) tiny inclusions difficult to see when magnified and this grade is split into two; VVS1 being a higher clarity grade than VVS2. Very Slightly Included (VS) minor inclusions that are between difficult to quite easy for a grader to see when magnified and this category again is divided into two; VS1 being a higher clarity grade than VS2. Inclusions in VS diamonds are usually invisible without magnifying, however if you are gong for a larger more basic shape such as a large emerald cut you should try to get a VS1 as occasionally a VS2 may have an inclusion that could be visible on this type of cut. Included (I) obvious inclusions that are clearly visible to a grader when magnified. Inclusions are quite often visible without magnifying and in some cases inclusions may threaten the durability of the stone. This category is divided into three grades I1 being the higher though to I3 the lowest. I1 inclusions for example are often are seen by the naked eye, I2 inclusions are more easily seen by the naked eye and I3 diamonds have large and easily seen inclusions and inclusions that are likely to compromise the diamonds structure. The diamond can have the most amazing colour and clarity but without the correct cut it will not show the sparkle it is capable of. Although the shape a diamond is cut to is a personal preference the actual cut referred to in the four c’s is actually the proportions the diamond is cut to as opposed to the shape of the diamond itself. The proportions the diamond is cut to create the reflective diamond sparkle. If diamonds are cut to shallow they will appear flat and lifeless and if it’s cut too deep the diamond will appear dark, however a correctly cut diamond will allow light to bounce back through the top of the stone and create the sparkle. Diamonds should also be cut to ensure the facets are aligned and should be polished so they are also smooth. Higher diamond cut grades are given to diamonds with the best proportions, symmetry and polish. The grade of the diamond cut will usually vary from Ideal, very good, good, down to fair with the price reflecting this, most diamonds will fall into good or fair. The carat of a diamond refers to the weight of the diamond not the size of it and is the most influential of the four c’s on the diamond price. Diamonds are usually cut to give the best weight and carat size sometimes perhaps to the slight detriment of the cut in the four c’s so it’s always worth looking at all aspects. As a single solitaire diamond will be larger this is also usually heaving (ie a higher carat) and so will cost more than a ring consisting of smaller diamonds in clusters. The carat size can however be one way of comparing value for money across different rings when making decisions. Diamonds are not always white and the intensity of diamonds colour can either increase or decrease the diamonds valuation. In white diamonds the more yellow detected in it the more the value will be decreased due to this discolouration however as diamonds are available in almost every colour of the rainbow many of which are highly valuable. As white diamonds are the most popular we’ll focus on this. The grading of white diamond colour goes from D which is colourless to Z which is a pale yellow / brown colour. G, H and I are considered excellent value diamonds as although a trained eye with a magnifier can see the colour isn’t clear to the naked eye they will appear colourless but without the very high price of a D, E or F diamond. The fashion for clearer stones is more recent and should you choose an antique diamond engagement ring you will often find the stones with a warmer tint and other coloured stones too as this was deemed more fashionable in this era so for vintage lovers this may be another option. It is important to realise that sadly not all diamonds arrive at a jewellery store with a happy history behind them as many diamonds are mined in war zones with much of the money raised from them going to finance war, these are known as blood diamonds. To have a clear conscience that your engagement hasn’t helped to fund such tragedies you can buy conflict free diamonds which ensure no violence is being funded from the sale of the diamond and that workers human rights are adhered to. These diamonds are tracked from the mine to polishing to ensure the full process is ethical. This may cost slightly more however personally I would rather have a clear conscience and a smaller diamond so often t’s worth taking the time to think about and research this or certainly to ask the question when considering purchasing. Gold is naturally yellow and due to it being a soft metal it is combined with various metal alloys to give it strength and this also gives gold the karat rating. Gold is a durable metal but will erode over a long period of time so may at some point in the very distant future need the band rebuilding or strengthening at a jeweller. 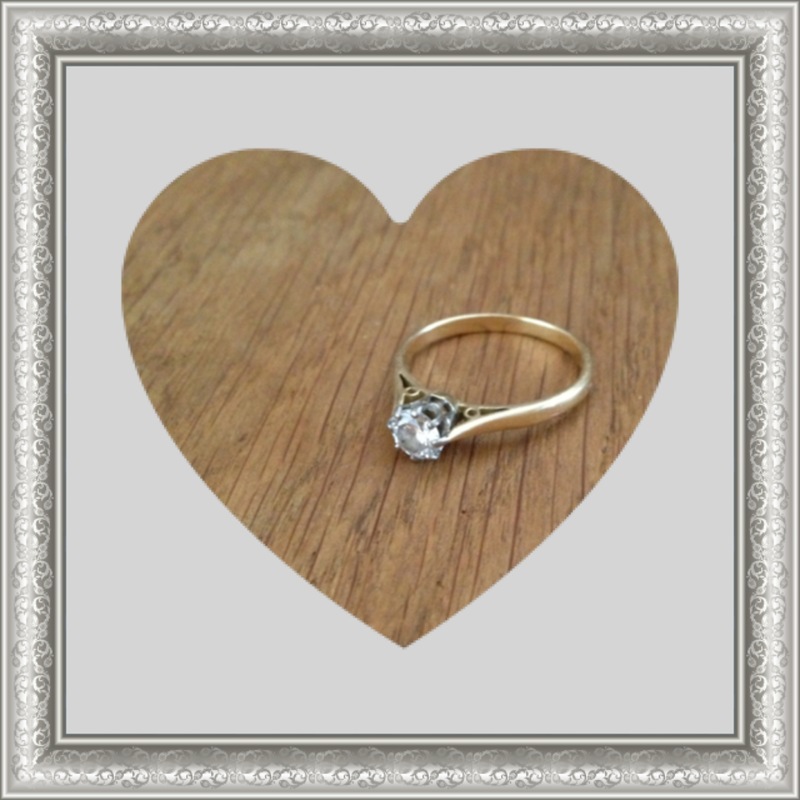 14k or 18k gold is recommended for engagement rings. White gold is yellow gold which has been plated with rhodium usually; this gives the white gold colour but may over time wear away to show the original colour through it again this can be corrected by a jeweller. Platinum is currently a popular choice for engagement rings as platinum is a very hard-wearing metal that will stand the test of time however it will be much more expensive than gold and should you choose a platinum engagement ring you would also be advised to choose a platinum wedding band adding further expensive down the line as putting a platinum engagement ring next to a softer metal white gold wedding band would increase the rate at which the wedding band wears down. The advantage of having a ring made is that you get exactly what you want and often if you go to a jewellery quarter you can skip the middle man and finish up with a lot more for your money and your own unique design. The advantage of second-hand rings is that as mentioned at the beginning of this blog post diamond engagement rings are not a financial investment and as such purchasing second-hand means that you can often get a very similar ring to one you would purchase new for a fraction of the cost. Also if the blood diamond problem is a worry to you recycling diamonds saves new mining of them altogether. If you prefer the idea of going to an actual retail store choosing a new ring and walking away with it the same day there tends to be better value in shopping in a designated jewellery area such as Hatton Gardens in London or the Jewellery Quarter in Birmingham as examples. Hatton Gardens in London with over 300 local businesses and over 30 shops create the largest jewellery retail cluster in the UK. Some of the Hatton Gardens jewellers supply diamonds directly to trade too although will see customers directly via appointment so again it’s worth doing some research in order to be able to save some money and have something a little bespoke. Also the Jewellery Quarter in Birmingham has over 100 specialist jewellery retailers ranging from contemporary to classic and second-hand to new and hand crafted. Due to there being so many jewellers in one area the prices tend to be more competitive and comparisons can easily be made between stores plus with all those rings there’s bound to be something for even the pickiest bride to be. 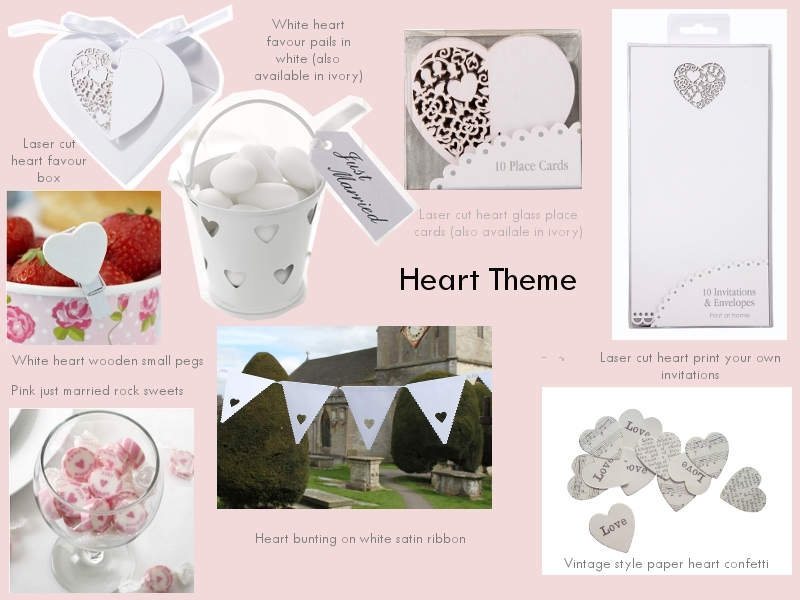 In this weeks weekly blog posts providing inspiration for weddings and parties based on different themes we’re focusing on heart themed weddings as we head towards Valentines day. 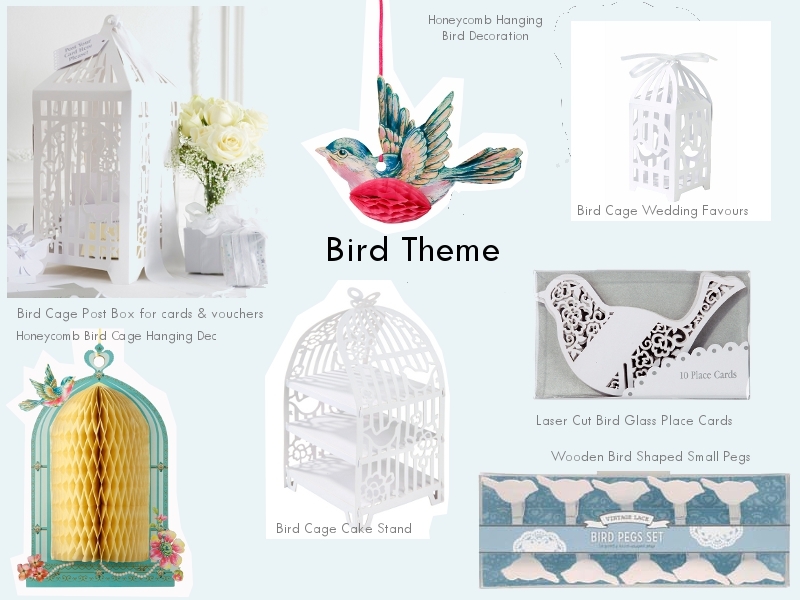 In this weeks weekly blog posts providing inspiration for weddings and parties based on different themes we’re focusing on bird themed weddings including bird cages one of the hot looks for this years weddings.